Life can be punishing on your car with kids spilling their drinks on the seats, muddy spray from lorries on motorway commutes, tree's sapping and birds doing what birds do. Autoglym Lifeshine offers a comprehensive protection system throughout your cars upholstery, paintwork and glass that is applied by our trained professionals at the dealership. When applied, the lifeshine protection uses a carbon shield technology to fuse liquid carbon to the surfaces, creating an impenetrable barrier against harsh contaminants and the elements. Maintaining your cars stunning interior is just as vital as maintaining the cars exterior, especially when it comes to resale. Our technicians will treat every strand of your cars upholstery several times with the special upholstery treatment. The result is a strong shell barrier around all fabrics and leather protecting you against accidental spills and moisture. Any spillages will sit on the surface and are easily cleaner up should any accidents happen. All of your cars windows will be treated with an optically clear and highly durable coating that's incredibly easy to keep clean. As the water rolls off the window instead of stream down as you drive, you get far better and safer visibility in heavy wet weather. Any and all paintwork will be treated with Autoglym's protective coating, enhancing the cars shine and ensuring maximum protection against any environmental hazards and even the most extreme weather conditions. 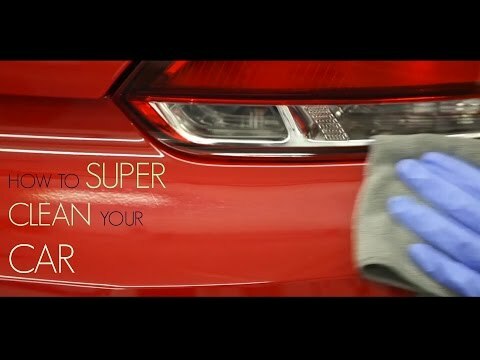 The glossy water repellent coating is easier to keep clean and maintain that beautiful new car shine. If you choose to take the LifeShine protection we will provide you with a complementary aftercare kit to complement the products lifetime guarantee. Details of this aftercare collection are available on request.